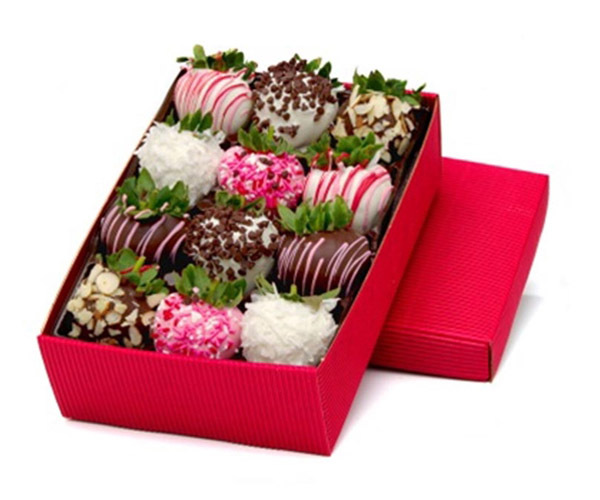 If you’re wondering how to package chocolate covered strawberries then stop finding as we provide wonderful custom boxes. Our exclusively customized boxes are just amazing to pack and present chocolate dipped berries. 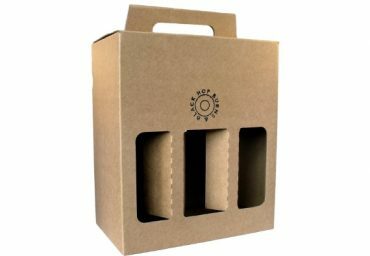 Whether you need boxes to showcase lip-smacking berries in your bakery shop shelf either you want custom packaging to serve such a delectable treat to your guest or loved ones, we design boxes totally as per your requirements. Well, it doesn’t matter if you are looking for chocolate berries gift box or boxes for business need, you provide the delectable sweets and we’ll get you Exceptional Custom Boxes to show off your art. 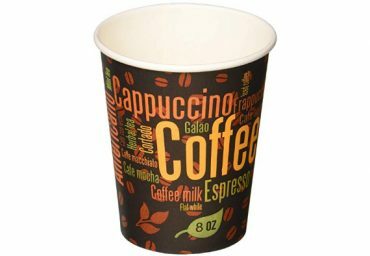 We use 100% recyclable cardboard or Kraft material with high-quality digital/offset printing in the whole manufacturing process of these boxes. Such top-quality boxes not only provide an enchanting look to the chocolate berries inside but also preserve its taste and quality as long as possible. Get in touch with us to avail our premium packaging services at cost-effective rates. 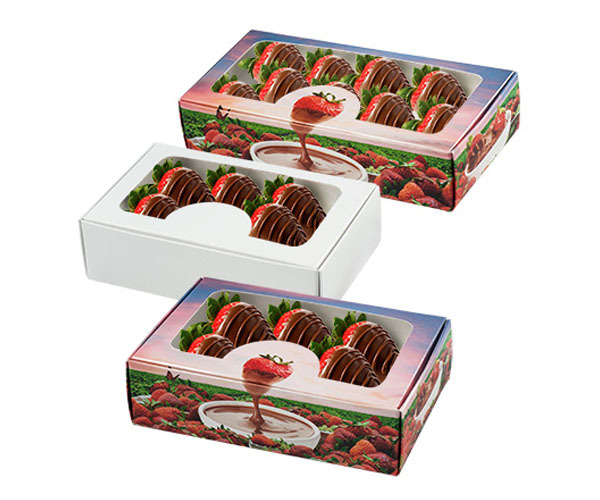 Get your very own Custom Printed Boxes for Chocolate Covered Strawberries decked-up with the most startling designs and adorable add-ons in order to fulfill the packaging needs of your sweet treats. 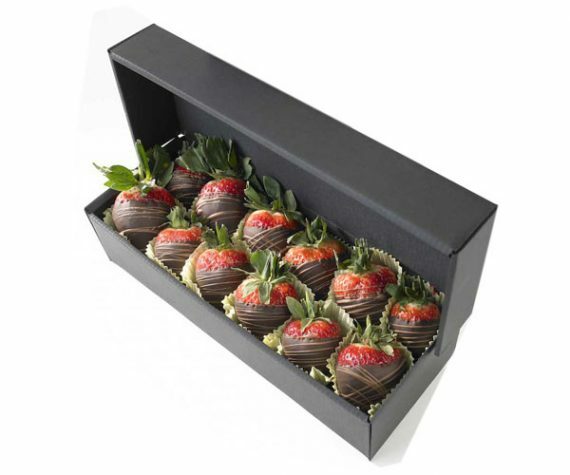 Bakery Packaging Boxes offers designer custom packaging to market and sell your chocolate dipped strawberries. 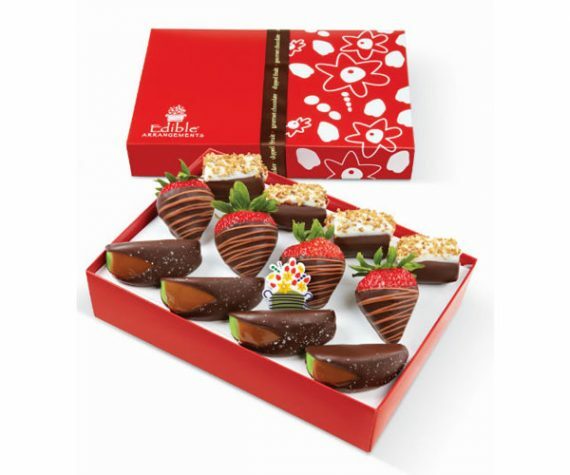 These boxes are available in a number of shapes and designs such as top-tuck, automatic bottom, big box for multiple berries, and a single strawberry tote box wrap around a single strawberry. 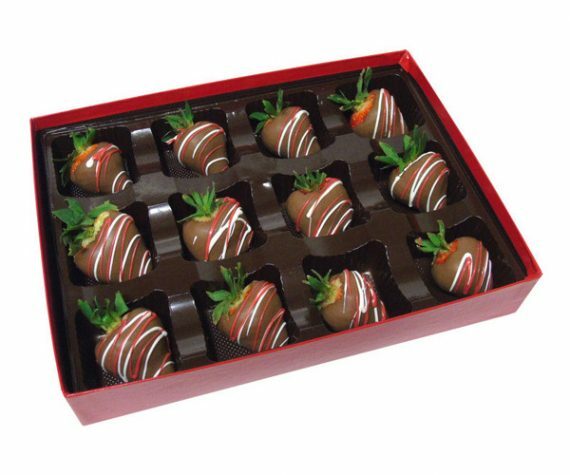 As chocolate covered strawberries are served at special occasions such as Valentine’s Day or Wedding Events so its packaging must be up-to-date as per the occasion. 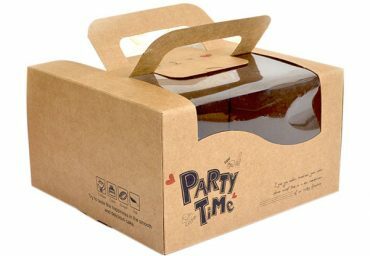 Gloss/Matte lamination and Spot UV coating can be applied to the boxes for extra glow. Die-cut windows give a more mouthwatering look to the packed chocolate-dipped berries inside. You can have a large box with trays/sections to put in numerous berries either a small strawberry-shaped box for single serving. We love to play a small role in your success by providing a truly unique packaging for your chocolate berries. 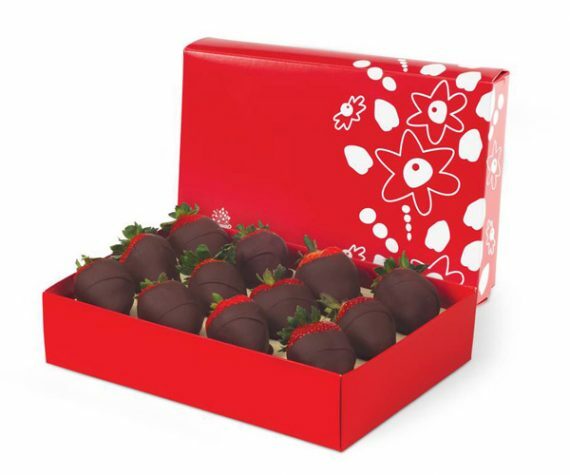 With our distinctively customized boxes, retailers can also endorse chocolate dipped strawberries especially during the summer season, Valentines, or Christmas holidays. We’re happy to provide you with amazing choices as you plan for the layout that honors your delectable treats. Our exclusively designed premium chocolate covered strawberry boxes are flawless to promote your bakery business or get your sweetmeats familiarized among people. Box your lovely berries in striking packaging provided by us. Our boxes have a high-end look and feel but at the reasonable rates as just you want plus we charge no shipping fee. Call or email us to order these top-quality boxes.